How Will We Design and Implement Our Project? Congratulations! You’ve taken the time to connect with your partners about a shared MISSION (or at least the previous section sparked some ideas and questions). Now that you’ve articulated the respective values that are shaping your collaboration, it’s time to plan. Naturally, you have an image in mind of what you want to do together and why. Perhaps you’re an advocate partnering with creatives on a livestream global event, or a creative whose carefully rendered stories will fuel a campaign to prevent sexual harassment. In any case, you can imagine outstanding outcomes from the infusion of purpose and storytelling. You may have personally witnessed or participated in collaborations that connected people to profound experiences, to each other, and possibly even shared solutions. 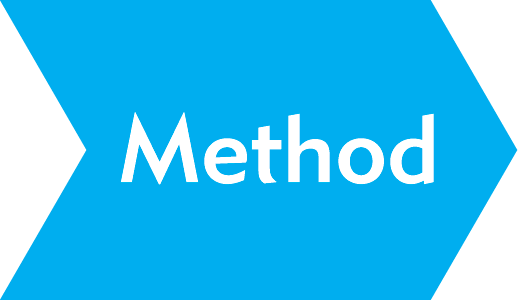 If you look up the definition of METHOD, words like “structure” and “orderly” might jump out at you; but please don’t think of METHOD as a creativity killer! Rather, think about paving a path so that artistry and strategy can co-exist. METHOD includes how will you work together, how will you define your respective roles, how will decisions be made, and one of Active Voice Lab’s favorites: how you will know if you’re still in sync with the MISSION you’ve clarified? What milestones can we expect and how will we each take part?How will we plan our collaboration or partnership?What kinds of variables might emerge and how will we navigate the unexpected?How — and how often — will we communicate?How will decisions be made? What other funders, chapters, exhibitors, subjects or other parties are involved in or affected by this project? How will they be involved?Who exactly will communicate with whom?What are their expectations, what agreements have been made?How will their safety, privacy, and exposure to other variables be factored in? When and how is feedback solicited from a partner?Is there a timeline or stages when “cuts” or works in progress would be available for review/sharing?Does the creative have to accept the feedback? Does anybody have veto power over creative input? Who gets to share the project with others, when, under what circumstances, in what sequence, etc.? (Also see MONEY)When are partners allowed to preview the project, if at all? Must everyone share a vision for how the project should evolve, or could it take multiple trajectories?For example, what happens when change-makers or funders want a call-to-action version that might clash with the creative’s vision?Are there any sensitive issues that may come up that may not be obvious to others in the partnership — including “competitors” for funding, mentioning hot button issues, etc.? Who represents the project, can speak about it, or is the public face of the project?Who will be available to represent the project and for how long?Is there a single “frame” we will use to present the project, or will that change for various purposes and audiences? Creative “participation” (sometimes thought of as editorial control) is one of the thorniest aspects of partnership. Some creatives have a bright line around their work; they may be curious about partners’ ideas or needs, but they understandably insist on telling the story their way. (See journalists, independents, etc.) Others may welcome, even depend on, input from those who will be involved with the content (see collaborators/activists, entrepreneurs, etc.). A small but growing group of change agents are helping people tell their own stories, and see themselves as enablers and amplifiers. Regardless, any Prenup should include — early on — a candid discussion about creative input. Generally speaking, the further along a story is, the simpler the METHOD conversation is likely to be. For example, a filmmaker with a completed documentary will likely want to work closely with various partners to match their expectations and develop their plan for impact. But the creatives behind projects still in production — not to mention still in development — will want to take the time necessary to focus on the “how.” What METHOD(s) will work for you through a creative and strategic process? Don’t assume that everyone shares the same understandings about responsibilities, roles, decision-making, etc. For example, if someone is taking the lead in initiating the partnership, that individual or team should be ready to articulate who they expect will do what during the collaboration. They will also want to keep in mind that building a team is not as straightforward as assembling a car. Smart leaders cultivate trust, recognize talent, seize opportunities as they come along, and pay attention to the well-being of every participant. Even collective projects — wherein leadership is shared and hierarchies are relatively flat — should spend time to clarify who’s doing what. Even relatively practical items like “Who on your team needs to sign off on the plan, and how long might it take?” could make a big difference down the road. Thanks to our generous funders!